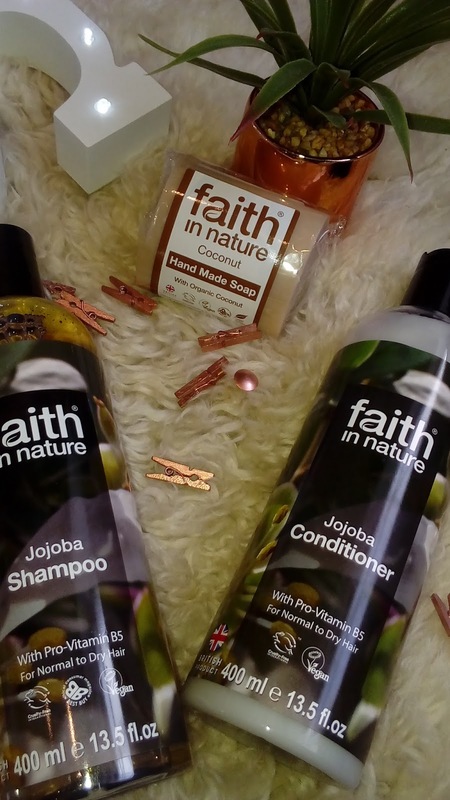 Discovering Faith In Nature | A Cruelty Free And Vegan Natural Beauty Brand. 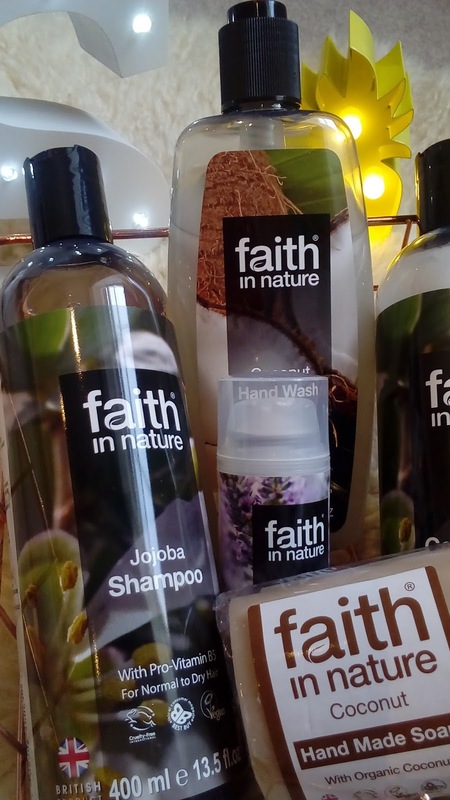 Faith In Nature are a natural beauty brand who create beauty products which are endorsed by both The Vegan Society and Cruelty Free International. Their products are made with nature in mind. They work to reduce waste wherever possible in terms of packaging and also keep animal products, parabens, SLS, GMOs, artifical preservatives, and scents. It is brilliant when beauty companies go out of their way to produce products which don't harm nature or produce unnecessary waste. I am always trying to actively choose beauty products which don't test on animals nowadays because there really isn't any need for it at all. When you can produce products as such as these without harming neither the environment or the animals within it then it beggars belief that companies still do so! 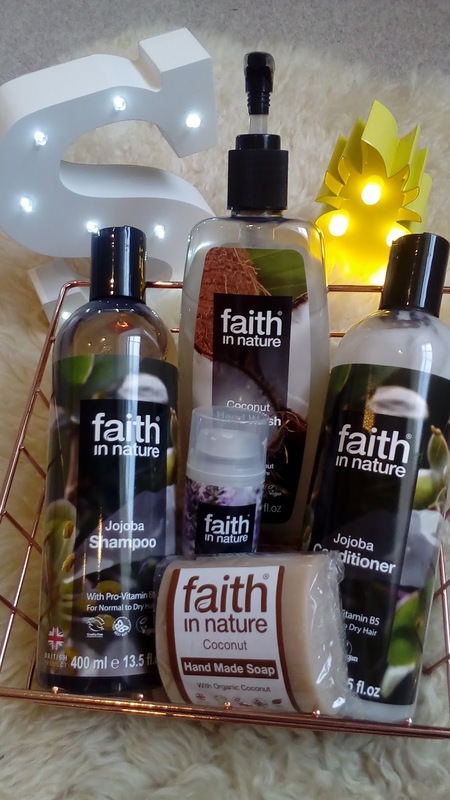 Anyway, I have been loving these products from Faith in Nature they smell incredible and the scent lasts so well, especially the Coconut Hand Wash which I have been using for about 3 weeks. It works really well and leaves my hands feeling soft and smooth, as well as clean! The Organic Coconut Soap is a great addition to the handwash, it lathers very well and is moisturising, smelling wonderfully of coconut with a hint of almond. I love that it doesn't strip the natural oils from my hands which can leave them feeling very dry. I feel with this soap that as well as cleaning my hands, also moisturises them. Although I do use hand cream, sometimes this soap and handwash combination is enough for me not to, which doesn't happen often! I have enjoyed using the handwash and soap in combination with the Crabtree and Evelyn Citron and Coriander Hand Scrub, which is another product I have been absolutely loving for helping to keep my hands soft. 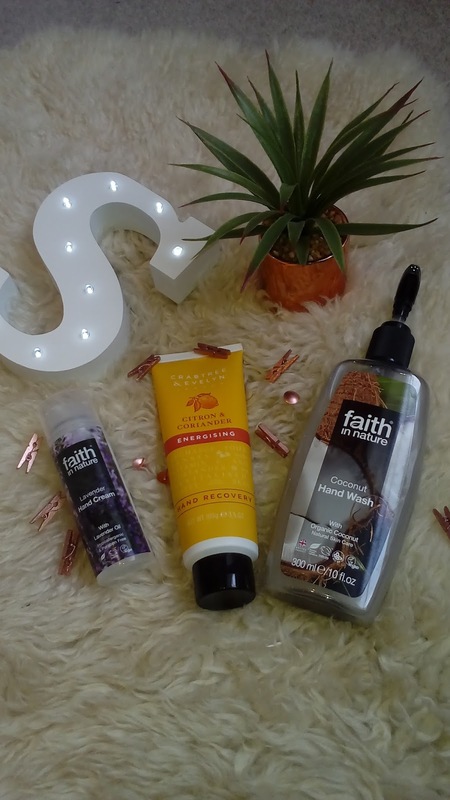 With my job I have been finding that I need products which will help me to keep my hands youthful and this trio are working wonders for me at the moment. Also the dry patch on my hand is slowly getting better which means that my beauty routine is working! This Lavender Hand Cream is so good to use overnight and the scent is of course good to use to help you sleep. It sinks in really well and doesn't leave them greasy and I can quickly continue on without having sticky hands. I would say that it isn't so good for dealing with my dry hands, but I do love putting it on last thing at night before I sleep in the vain hopes that it will help me sleep! 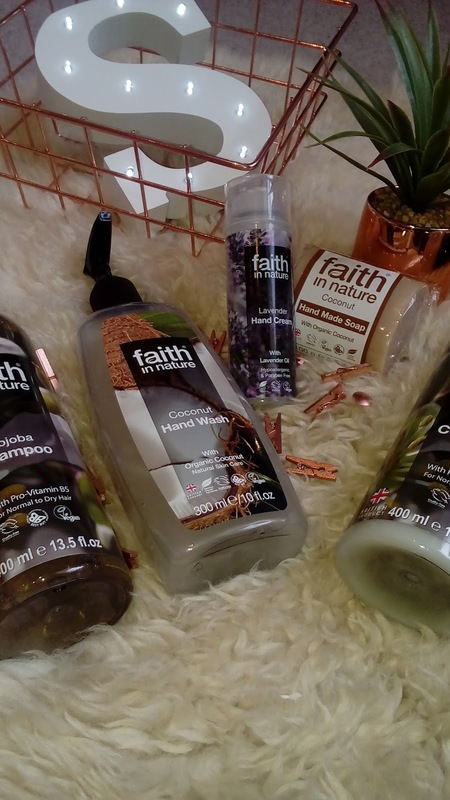 I have thoroughly enjoyed using these products from Faith In Nature, they all work just as well as any other products I have tried and smell incredible. The scent lingers long after first use and my hands and hair are left feeling soft and smooth. I would definitely recommend them if you're looking to change up your products for ones which are vegan and cruelty free. The more people who choose these products, the more they will become mainstream and be more readily available to us all. You can see the whole range from Faith In Nature on their website where you can find products for you, your baby and even your pets! They really do have everything covered! Please let me know what you think of these products, have you ever tried anything from this brand before?! I'd love to know which ones you recommened! *These products were sent over by Faith in Nature in exchange for this review. All opinions are my own.